Denise is a cycle accurate and platform independant c64 / amiga emulator. My motivation for this project is understanding how it works and write clean and easy readable code. I dont't sacrifice accuracy or code readability for excecution speed, so you need a fast machine to get it fullspeed. The project is influenced by the design of the emulator higan. I have reached the second checkpoint in my personal retro trip. Denise now supports Light Guns/Pens, GunStick, Mouse 1351, Mouse Neos, Paddles. Denise consists of 4 main modules. "guikit", "driver", "emulation" could be used in any other project. "program" links these modules together. 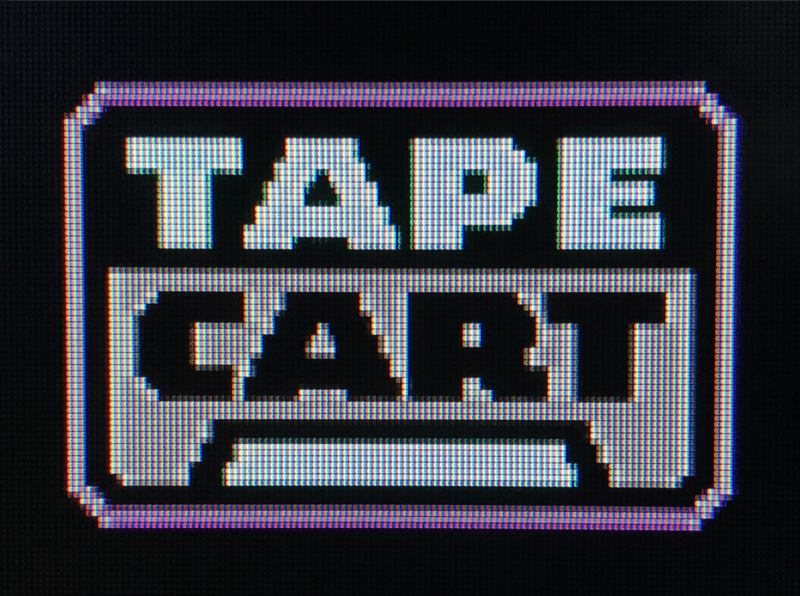 TapeDevil 1 is the original collection of apps and utilities for the Commodore 64 TapeCart. 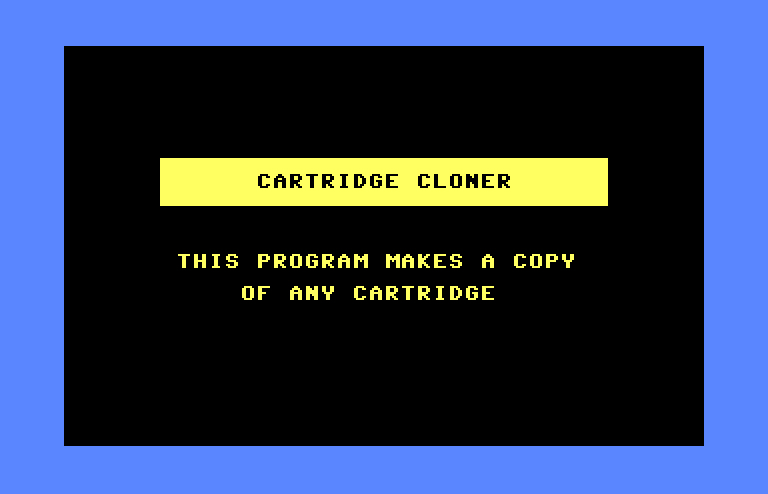 Cartridge Cloner - This is a simple little program that will dump the contents of a cartridge into a savable form in memory. Don't think I'd recommend using this as you have to plug the cartridge in after the power is on and the dumper loaded. Written by Mark Zamok and Ron Hayden, 1984. Decent 300-1200 baud color terminal. Fixes and updates documented inside the program. 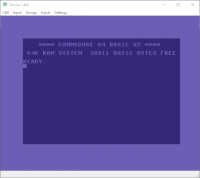 FBackup v2.5 for the Commodore 64 is a 70 second full disk single drive copier by Thomas Templemann. 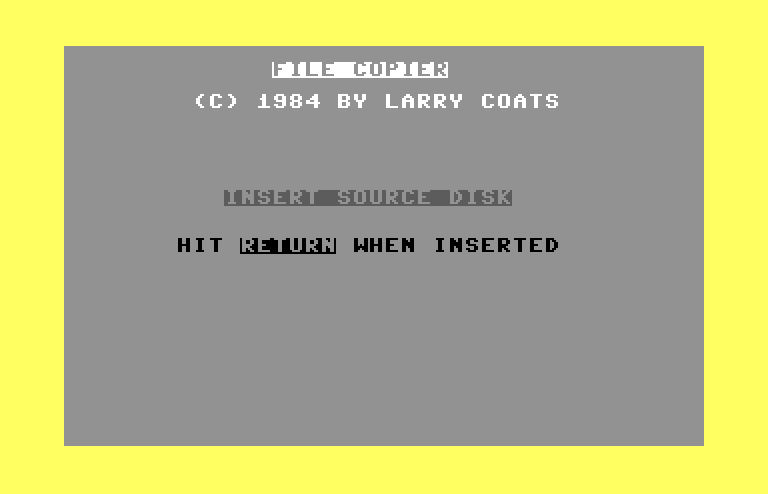 File Copier by Larry Coats (1984 ) is a simple but flexible program that can store up to 205 blocks of code at a time for single disk file copying. MOS6502 is a simple (non-macro) DOS-based assembly language translator (assembler) for the MOS 6502 microprocessor and its numerous clones. We tried to keep its syntax as simple as possible. MOS6502 supports numeric constants as well as regular expressions and outputs pure binary code. Main memory requirements depend on source file size and symbol table size. 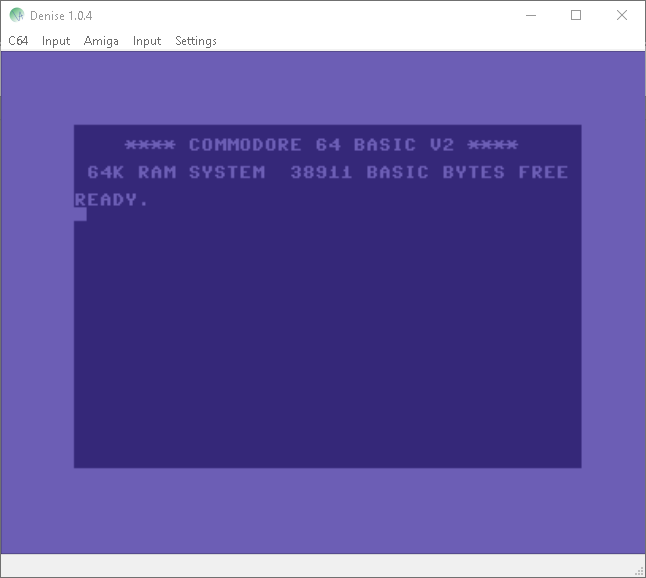 TapeDevil 2 (Successor to TapeDevil 1) is a huge collection of utilities specifically designed for the Commodore 64 TapeCart hardware. See long description for list of programs included in the compilation. - New (experimental) GTK3 native port, this and the SDL(2) port will replace all other ports (which will get removed) in VICE 3.3 and onward. - Handling of the `-keybuf` command now works properly for all emulators and RAM sizes. - Fixed handling of LOAD"$$" with virtual devices. 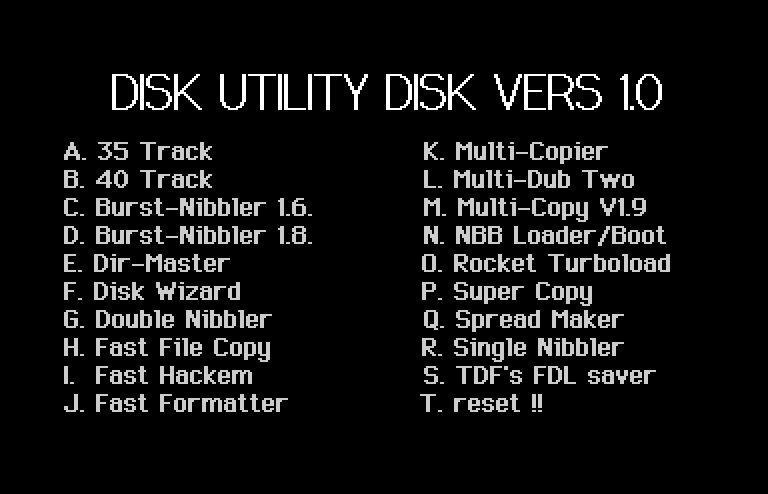 - Fixed @CD, @MD and @RD commands for virtual filesystem devices. - Fixed NEOS Mouse emulation. - Call the new CIA "8521" instead of "6526A" (which is wrong) in the UIs. - Erase timing fixes in flash core. - Don't allocate sectors on tracks > 70 in the BAM of 1571 images. - Ethernet emulation: fix register mapping in rr-net mode. - reSID: fixed envelope bugs shown by testprogs/SID/env_test/. - Fixed 6509 CPU port issues. - Added support for TAP virtual network interface. - Fixed drive clock overflow. Drive and host went out of sync on clock overflow (every ~4G cycles), which would break loading or custom drive code in the case loader/stuff is not idle during overflow window. Also drive would execute ~4G cycles out of sync, which made the emulator freeze for a while. - Fix monitor 'm' command buffer overflow. - Added conditional on values in memory to breakpoint handling. - Cosmetic overhaul of the SDL UI. - New drag'n'drop support for the SDL2 port(s). 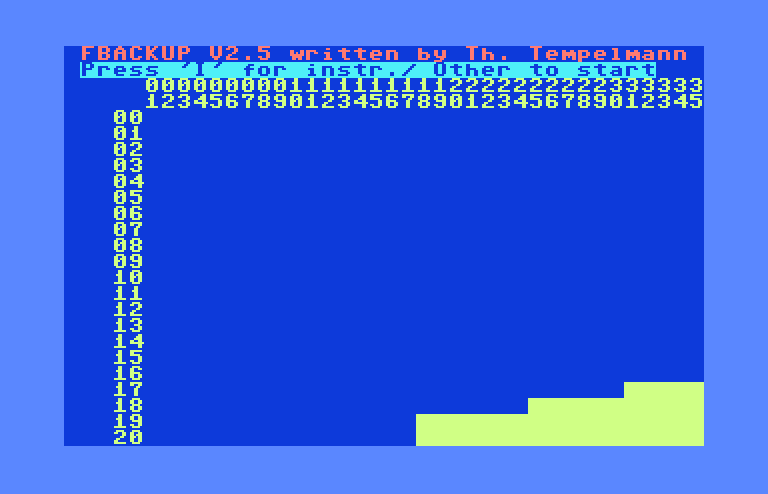 - Fixed monitor display of printables with the 'M' (memdump) command. - Fixed drive status display in statusbar. - Disable the mouse pointer unless we really need it. - Change MacOSX SDL menu key to F10 to accommodate old MacBooks etc. - Change default menu key for sdl amiga based platforms to 'F10'. - Added default hotkey files (with hotkeys similar to existing GUIs). - Added various keymaps for use with keyrah in combian/retropie. - Added controller mapping file for PS3 controller. - Fix track wrap around disk image corruption to the file produced with "Save as D64". 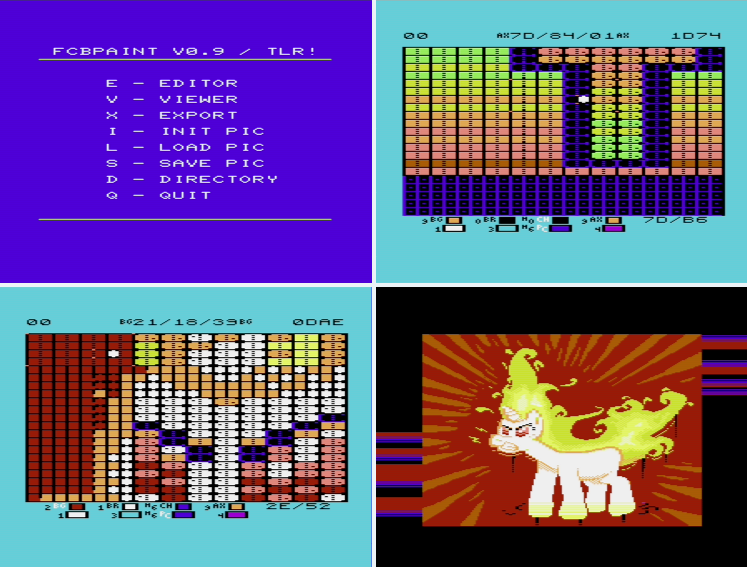 FCBPaint is a (PAL) VIC-20 (requires 32kb expander) editor for a special software defined graphics mode with 168*192 pixels with 8x4 char color and inline color splits. - rewrote the editor display layer to save space. - show bytes left for compiler instead of end andress. - coordinates are now shown correctly rounded in quick fill mode. - fixed bug where loading a file that is not a picture might crash fcbpaint. - fixed bug where display of render errors would "stick" in the border area. - fixed bug where size of rendered data and render errors wasn't cleared after initializing or loading new picture. - rearranged memory layout to allow for future improvements. - added example pictures by Tokra. This is a PAL only C/G editor - It seems to only work reliably on VICE 3.1 or higher and only with a pal c64 model. USB keyboard support. Like earlier firmware, press scroll/lock to enter/exit the Ultimate menu. You will need a kernel, basic and character rom after the upgrade. These roms are not included in the update. These roms are distributed with vice-emu, but you can also find them on zimmermans.net. 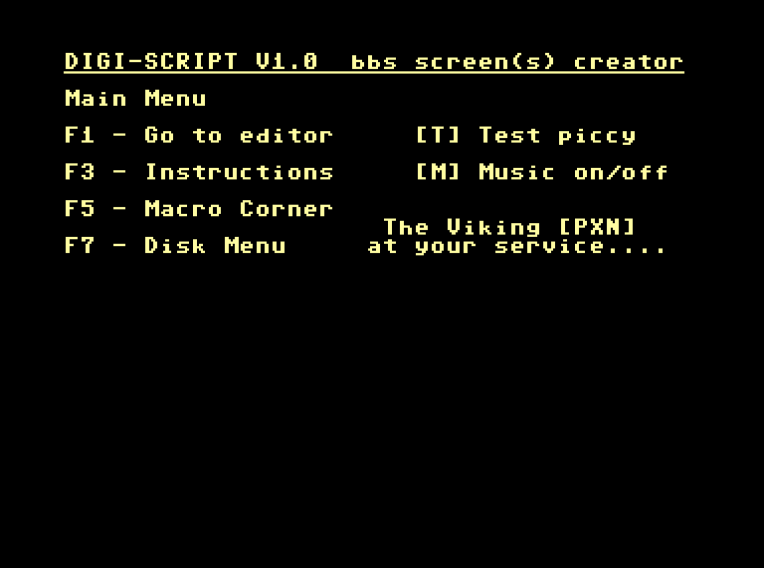 For instance, you could use these roms: 901225-01.bin (char), 901226.bin (basic) and 901227-03.bin (kernal). Roms with the .rom extension should also work. NMI handling improved in 6502. Added debounce on Restore Key. .. and there are many improvements not present in the changelog. Improved 1541 compatibility; weak bit areas and floppy speed zones are now properly supported. CCGMS By Craig Smith, modded and improved by Alwyz. 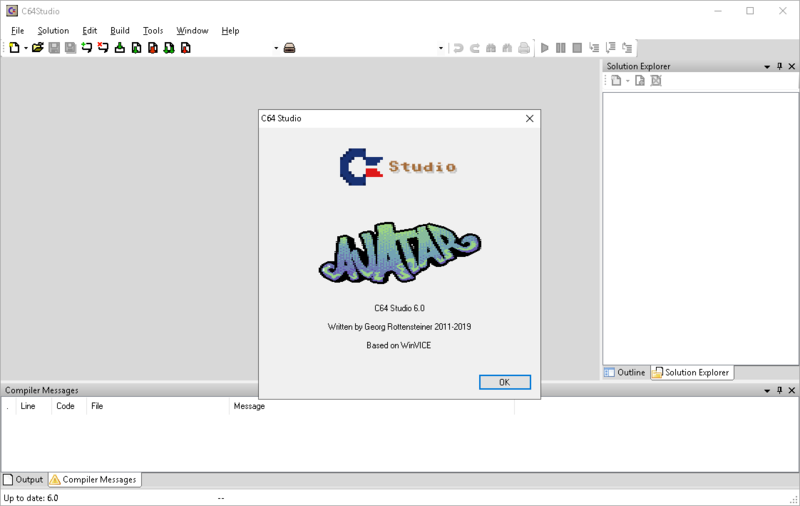 This is the latest (01-25-2019) release of CCGMS with many improvements and in particular support for the Ultimate 64 by Gideon. See screen shot #3 for additioinal info on what's been improved and fixed. 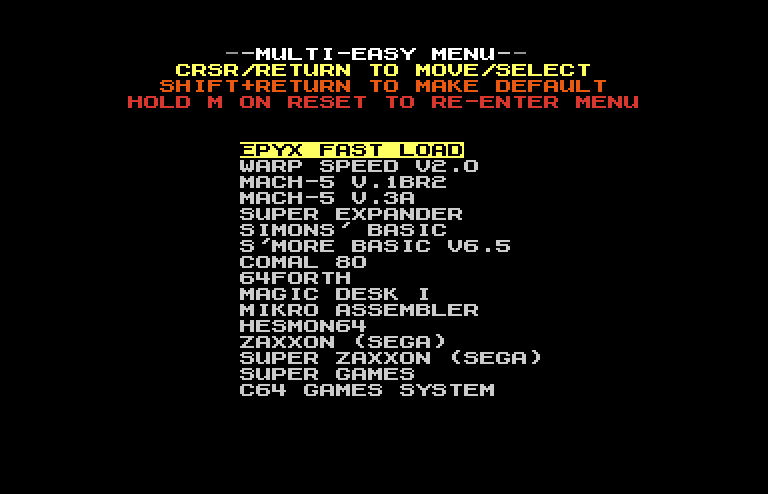 Multi-Easy by Lord Crass (2013) is a cartridge image designed for the Easy Flash 3 which contains many useful utilities and games while only taking up a single programming slot on the Easy Flash. See the screenshot for details on what's included in the cartridge. 3. C-64 Diagnostic Rev. 58622..
4. 1541 / 1571 Alignment Syst..
6. GEOS 128 v2.0 (1581 Floppy..
12. WinVICE 3.1 (x64 - 64-bit)..
13. C64 Dead Test Diagnostic R..
18. C128 Diagnostic Ver. 1.1 &..
21. C128 Diagnostic Rev. 78526..
23. 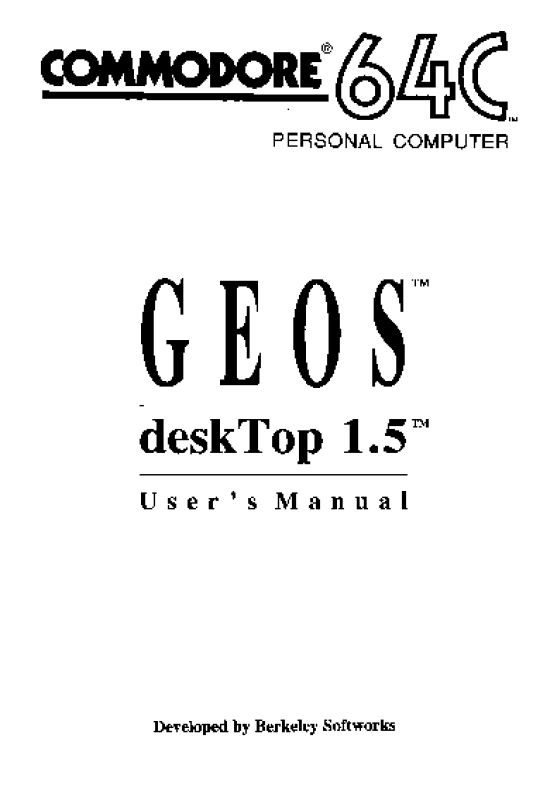 GEOS 64 v2.0 (1581 Floppy ..
24. 1541 Ultimate User Guide 0..